Global Supplier of Landcruiser Spares at the Best Rates and Quality! 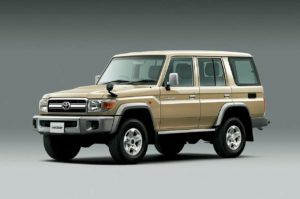 LandcruiserSpares.com is one of the very few companies in the world that just focuses on the Toyota Land Cruiser 4×4 range. We supply original, refurbished and replacement parts, as well as accessories for most models – including some of the classic 4x4s like the FJ40and FJ45. We currently supply some of the major sectors in the economy which include mining, agriculture, forestry, and tourism related industries, and we would like to expand this by supplying to the online public worldwide. By having an online presence we hope to expand our services both to more destinations and industries which can benefit from our specialised company, providing them with less down time and more productivity. We all know that Land Cruisers are some of the hardest working machines out there. Let’s keep them that way!